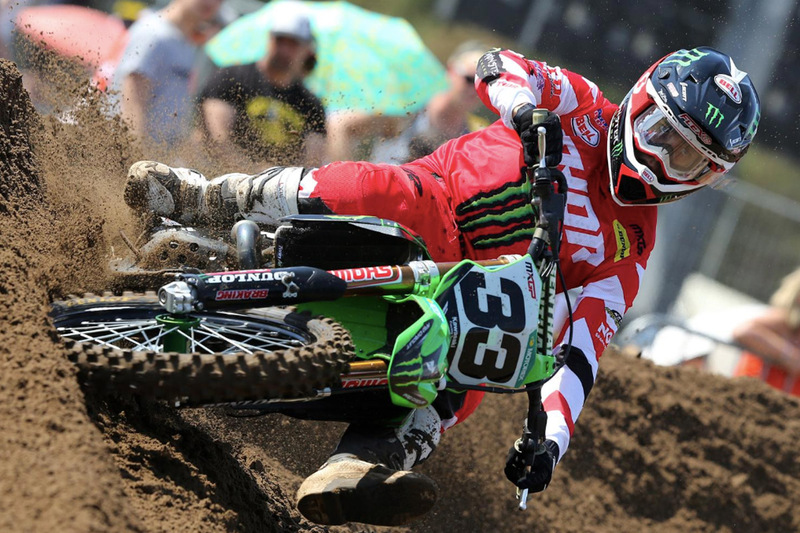 Monster Energy Kawasaki Racing has revealed Julien Lieber will remain with the outfit alongside Clement Desalle in the 2019 MXGP World Championship. In his rookie MX1 campaign, Lieber has earned a number of top 10 placings, however an injury sustained at the British grand prix has hindered his efforts in the middle of the series. “I’m very happy to continue with the team next season,” said Lieber. “They do a great job, carefully analysing rider feedback as we strive to advance together in the same direction. There is a good relationship in the team, not only with the mechanics and the management but also with Clement and I can’t wait to test the new bike and start working for next season. The 24-year-old will pilot Kawasaki’s 2019-spec KX450 in next year’s championship, which is all-new from the ground up, boasting a number of upgrades and enhancements over its predecessor.